Tooele Valley is getting a temple. 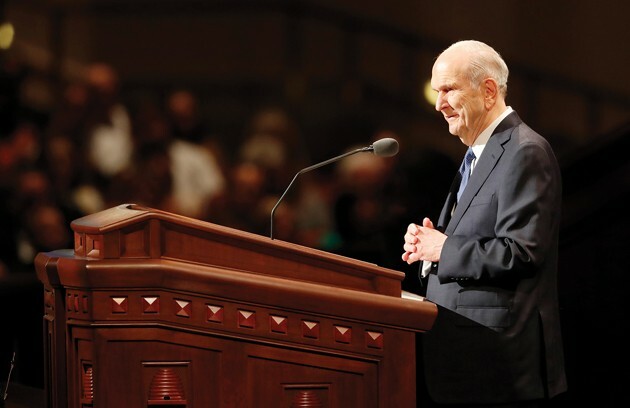 President Russell M. Nelson of The Church of Jesus Christ of Latter-day Saints, announced during the closing session of the church’s April Conference on Sunday that the church will build eight more temples. One of them will be in Tooele Valley, he said. 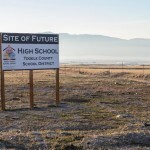 Shortly after the announcement on Sunday, Tooele County residents were speculating on social media about possible locations. Some mentioned property owned by the church in Erda. Others made reference to property on Tooele City’s east bench, previously owned by the late Maxine Grimm. Grimm, a Tooele resident, was instrumental in establishing the church in the Philippines. She maintained a relationship with the church’s leadership until she passed away in 2017 at the age of 102. Grimm told the Transcript Bulletin during an interview in 2010 that she told Church President Gordon B. Hinckley that she would donate land in Tooele for a temple. Irrespective of speculation, no location or other details of the future Tooele Valley Temple have been announced by the church. The Church of Jesus Christ of Latter-day Saints has grown in Tooele County over the last two decades. Twenty years ago there were five Latter-day Saint stakes in Tooele County; today there are 11. 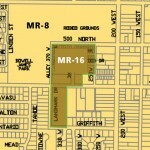 Six stakes are centered in Tooele City, two in Grantsville, two in Stansbury Park, and one in Erda. A stake is a regional organization composed of several wards, or local congregations. Also in Tooele County, Wendover and Ibapah, along with West Wendover, Nevada, are part of a mission district, an organization similar to a stake. For Latter-day Saints, temples are not regular places of Sunday worship. They are quite different from regular chapels or meetinghouses, according to mormonnewsroom.org, an official website of the church. Latter-day Saint temples are considered houses of God, a place of holiness and peace separate from the preoccupations of the world. 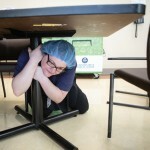 They provide a place where church members make formal promises and commitments to God. They are also the place where the highest sacraments of the faith occur — the marriage of couples and the sealing of families for eternity, according to the church’s website. The Tooele Valley Temple will be the 21st temple in Utah for the church. There are 17 operating temples in the state, including Bountiful, Brigham City, Cedar City, Draper, Logan, Jordan River, Manti, Monticello, Mount Timpanogos, Ogden, Oquirrh Mountain, Payson, Provo City Center, Provo, St. George, Salt Lake, and Vernal. Three more temples in Saratoga Springs, Layton and Washington County have been announced. Worldwide the church has 151 temples in operation, 12 under construction, 11 in the process of renovation, and 35 that have been announced, including the eight announced on Sunday.